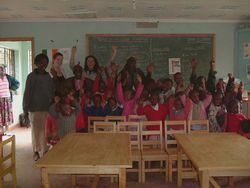 Volunteer pictures: Photos of our volunteers in various projects in Africa including orphanages, schools and medical clinics. 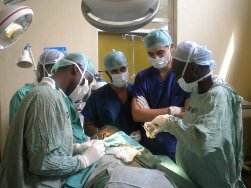 surgery at a referral hospital in Kenya. 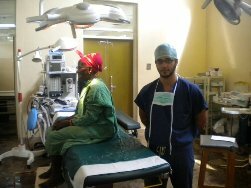 a student on medical rotations in Kenya. 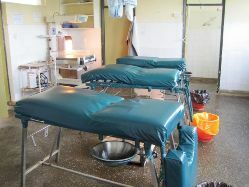 Maternity wing at Tigoni hospital. Average number of births 100/month. after delivery at Tigoni Hospital. Giraffes at Lake Nakuru National Park. 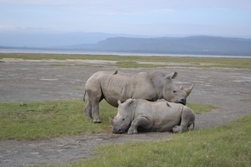 Rhinos at Lake Nakuru National Park. Volunteers arrive at Advance Africa volunteer house. Volunteers at the Advance Africa accommodation. Malawi Volunteer in a Children's Home. Photo courtesy of Marcey, USA. Tanzania Volunteer in a Children's Home. Photo courtesy of Dora, Canada. 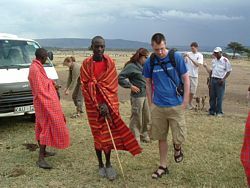 Volunteers on a Masai cultural immersion program. Photo courtesy of Nick. Aarhus University, Denmark. 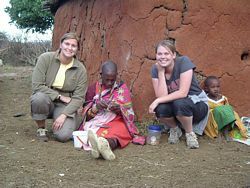 Volunteers outside a Masai manyatta. 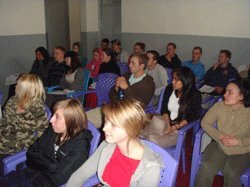 Photo courtesy of Sarah, University of Tulsa, USA and Tara, University of Utah, USA. 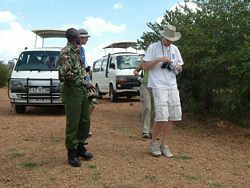 Volunteer's Safari - Volunteers on a Safari. 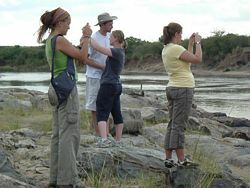 Volunteers out on a Safari - Mara River along Tanzania/Kenya border. A volunteer helps in cooking chapatis. Photo courtesy of Alexis - Guilford College, USA. 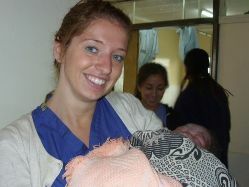 A pre-med volunteer in a hospital facility in Kenya. Photo courtesy of Kirby - University of Utah, Salt Lake City, USA. A Volunteer at a Children's Home in Kawangware Satellite. Photo courtesy of Laurence - Cottens, Switzerland. A Volunteer at a Children's Home in Kawangware. Photo courtesy of Marilyn - Arconciel, Switzerland. 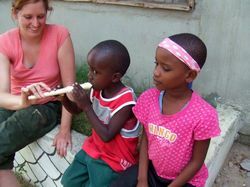 A Volunteer plays with children in Tanzania. Photo courtesy of Laura - University of Melbourne, Australia. A Volunteer plays with children in Kenya. Photo courtesy of Sarah from Germany. 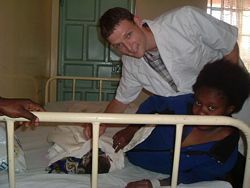 A medical volunteer in Kenya. Picture courtesy of Chelsea – Vancouver, Canada. Chelsea, a volunteer in Kenya, helps in preparing a meal. 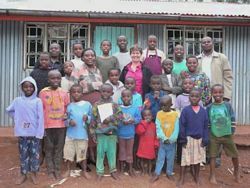 Thrilled orphans and street children in Africa. Children are always excited, despite not knowing where the next meal will come from! 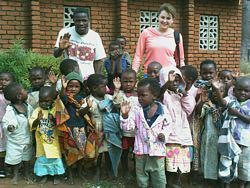 Volunteers in Uganda : Volunteers give these children a better life by teaching English and other subjects in Uganda. Tracey with the Dream Project Children’s Home family. 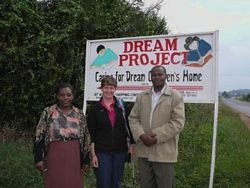 Tracey with the managers of Dream Project Children’s Home. Volunteer teaching: Volunteer teacher plays with school children in Tanzania. Photo courtesy of Laura - University of Melbourne, Australia. 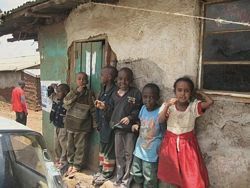 African children: Children in Kibera slum Nairobi. English teaching | Volunteer teaching Africa: A volunteer teaches at a school project in Kenya. 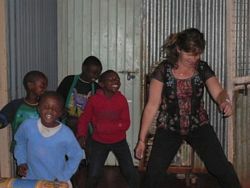 A volunteer learns to dance at an orphanage in Kenya. Photo courtesy of Tracey - North Vancouver, BC, Canada. 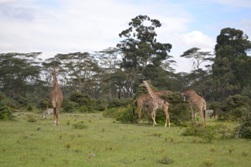 Advance Africa volunteers help in conservation work in Meru Kenya.